I read that quote a few days ago and then decided to do a painting based on it. The photo isn't just right once again. . Villa Parmina in Sicily is also partly responsible for a lot of the colors and patterns in this piece. 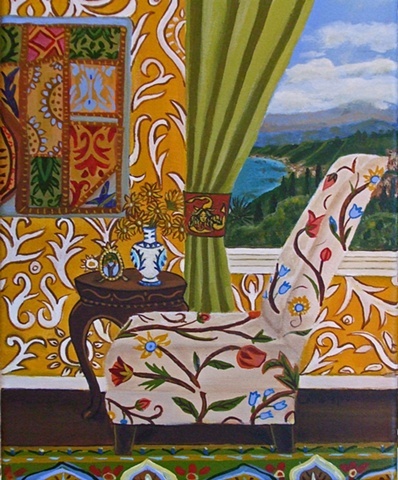 The view in my painting is similar to the one from the villa. I guess my trip is beginning to seep in to my painting........finally.